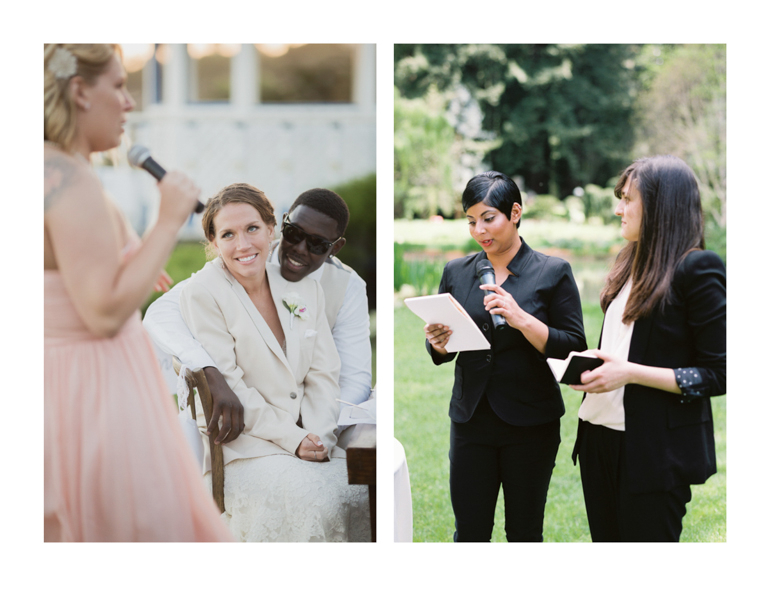 Wedding speeches are a time honored and much loved tradition that has been a part of pretty much every celebration we’ve been a part of. 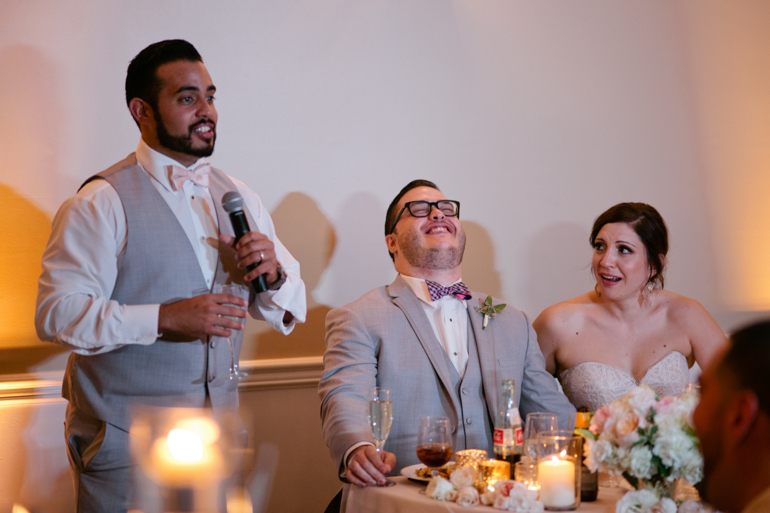 Giving a wedding toast can be an absolutely nerve racking experience and at some point in your life, the odds are that someone is going to ask you to give a toast on his or her special day. It is an honor, but also a huge responsibility! We have seen some really wonderful speeches, but I am sorry to say that we have also seen a few not so great ones. In order to help you do the best job possible when it is your turn to get up in front of a crowd and honor one of your favorite people, today we are sharing tips on how to set up your toast for success. It is extremely important that you carve out some quality time in the month leading up to the big day to write your toast. 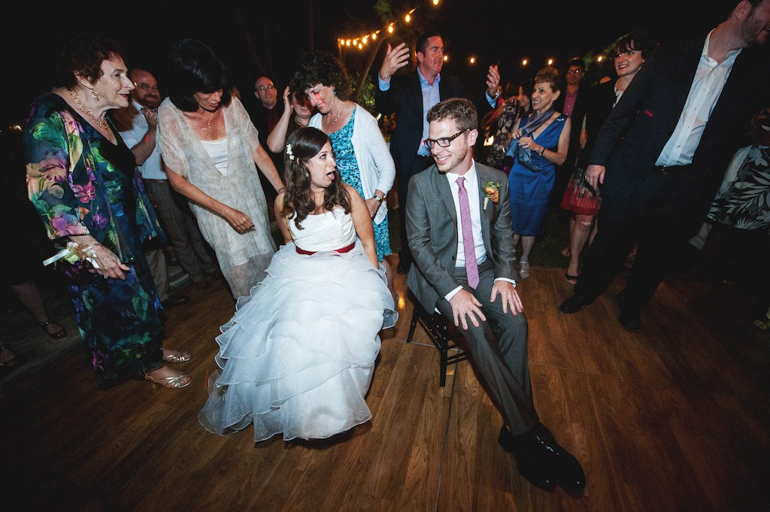 We suggest that you NOT procrastinate until the week of the wedding to do this. It is definitely not the kind of thing that you can or should just wing and hope for the best. The couple has asked you specifically to share at their wedding, that alone makes this kind of a big deal. On top of your responsibility to the couple, don’t forget that this thing will likely go down in history. 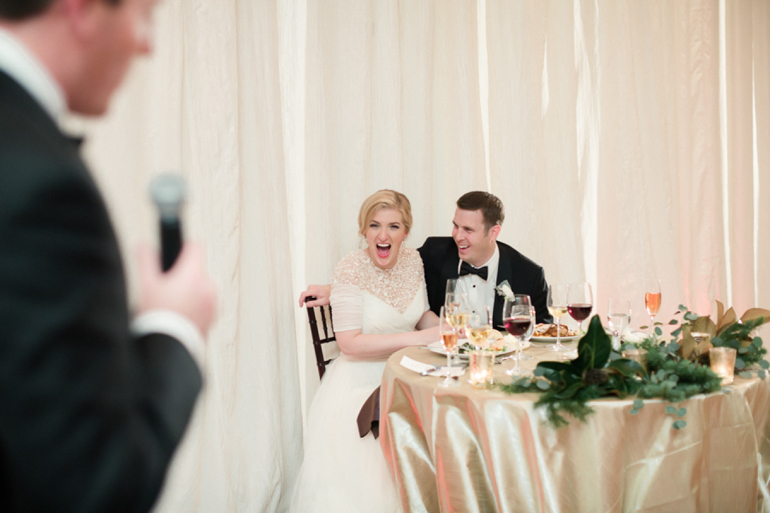 If your couple has chosen a videographer, or if someone decides to bust out their camera phones, your speech will be with you (and the couple) forever, so we encourage you to do it right! Start with writing down some of your favorite things or memories about the person, and weave together your speech from there. Think of what you want to communicate in your speech. The main idea is to keep it meaningful and focused on the couple. Make it personal by telling a story about him or her (or the couple as a duo) that makes them look good. Note that you can be a part of the story, but remember the toast shouldn’t be focused on you. Avoid poking fun at the person, unless all the speeches are meant to be a roast (which is usually not the case at a wedding). It’s true that everyone loves a funny toast, but we encourage you know yourself, and only be funny if in real life you are pretty funny. If you aren’t someone who normally doesn’t make jokes, then this is probably not the time to start! Lastly, inside jokes are not recommended (unless it is something that is widely known among the guests and will be explained for those who aren’t “in the know”). We want this thing to be personal, but don’t forget your setting, you want to make sure what you are saying is something that everyone can enjoy! Aim your speech for about two-three minutes. No speech should really be any longer than four minutes (you will lose everyone in the room, maybe even the couple – trust me on this one…). By keeping your speech short and sweet, but with substance that everyone can enjoy, you won’t run the risk of losing the room. To help keep it in the proper time slot, make sure you time yourself and know how long your speech will be. The couple has asked you to honor them for a reason, so make sure you are prepared and practice it in front of an audience (maybe your close friends or family). Keep it personal and meaningful with hints of humor and don’t forget to cut out the fat! Remember you are saying this in front of people and by being genuinely you, you will come off as the most sincere. So, shake off the nerves because these tips will definitely do the trick for giving a wonderful toast! Be sure to talk music with each of your potential DJ’s! Let them know the kind of music you are interested in playing at your wedding and get a sense of what they are drawn to. Try to determine what kind of musical chemistry you have. The vibes for any party is determined by the music that will be played throughout the night. The idea is not to hire your musical soul mate, but that you choose someone that gets what you are going for, is happy to take your music taste into consideration and is excited to execute the kind of style you are looking for. Communication is important in every relationship, even one with your DJ. 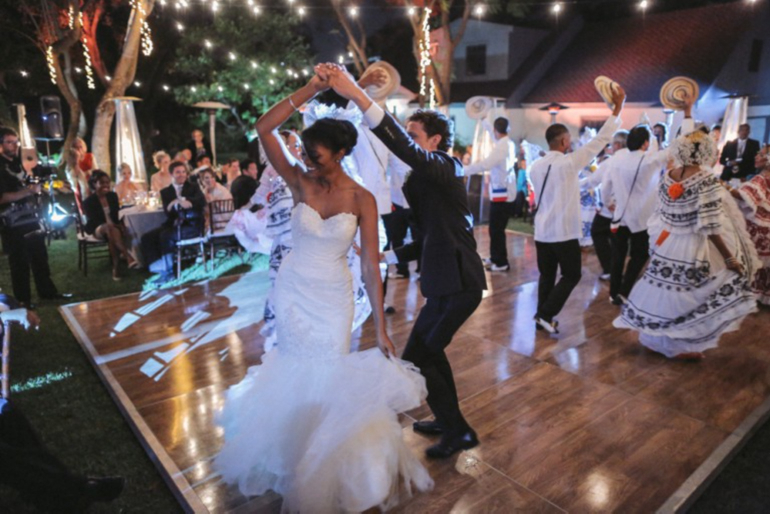 Understanding how they would like to be reached and what their expectations are prior to the event can help alleviate a ton of stress in the final stretch of your wedding planning process as you are communicating your song selections and musical desires for your day. Don’t forget to inquire regarding how much freedom they tend to like in terms of the actual music being played. 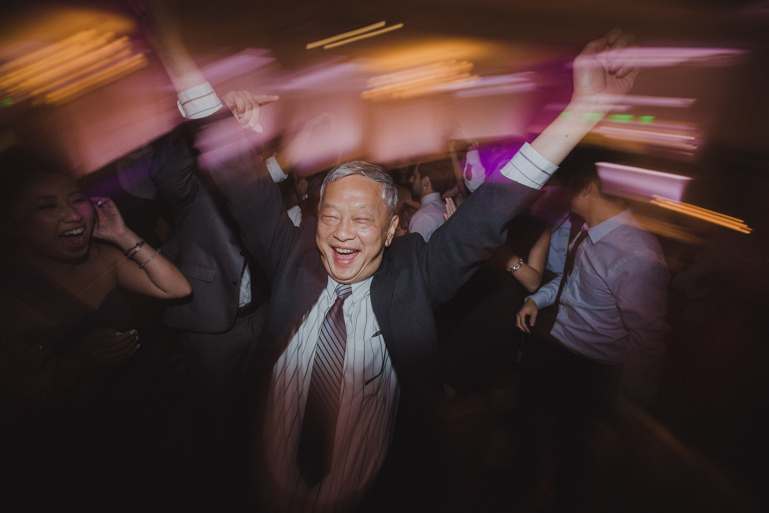 Some DJ’s are happy for you to choose just about every song that is played, while others see what they do as an art and (other than the songs for specific moments like your ceremony and first dance) want you to allow him or her choose the music throughout the party based on the general genres that you like. 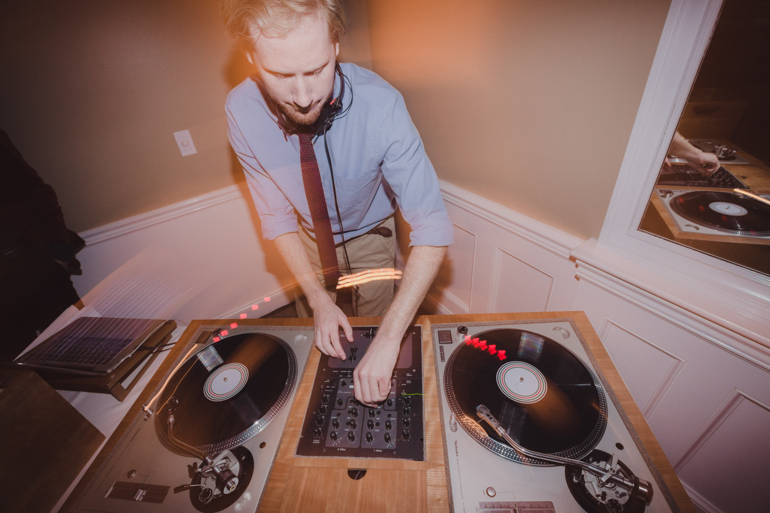 Take some time to consider your own personality and how intense you are going to get when it comes to choosing the specifics of your dance party music and be sure to choose a DJ whose process will work well with yours. Prior to your DJ consultations, be sure to think through in which areas of your venue sound is needed and then share this info with each prospective DJ. Most DJ’s will offer different packages that come with different items and speaker set-ups. When choosing a DJ package, make sure to gain an idea of what equipment comes with each option (such as the different kinds of mics they have, how many speakers, lighting, etc.). Some DJs also offer extra rentals such as up-lights, draping or dance floor lighting. Be sure to identify the equipment and rental options you are super interested in (and the ones you can do without), along with the number of speaker systems needed so you can get a strong price point at the end of your meeting (see far below for more on this). 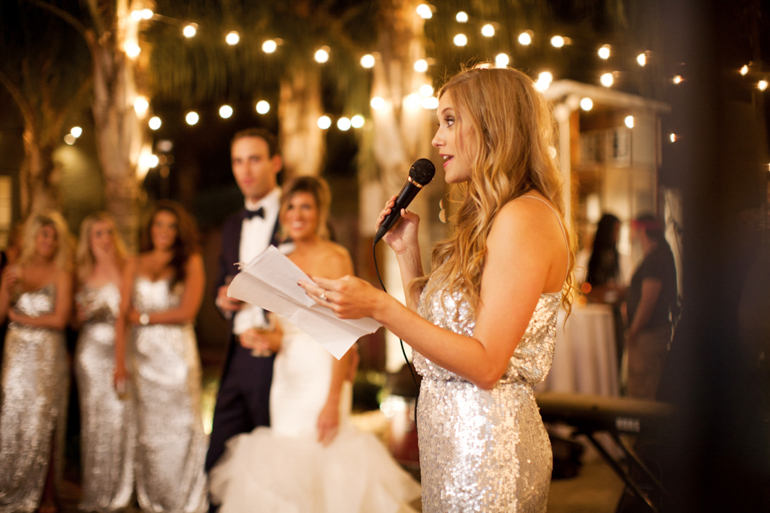 Don’t forget that your DJ company will serve as the voice of your wedding. He or she will be the one to communicate any and all important information to your wedding guests! 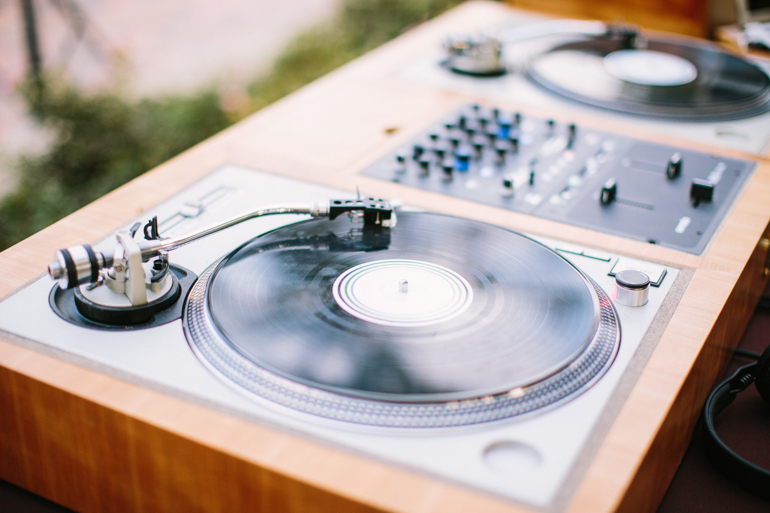 Some couples want a DJ who is more communicative, making jokes and hosting the night throughout. While others want a DJ who will talk only when absolutely necessary. Most couples want something in between the two extremes. Take some time to think through the kind of personality and style you would like your DJ to have. Be intentional about getting a feel for the personality of the DJ you are considering. You need to have a good “gut” feeling about their style so that you can make sure they would be a good fit for what you want in an MC as well as a DJ. 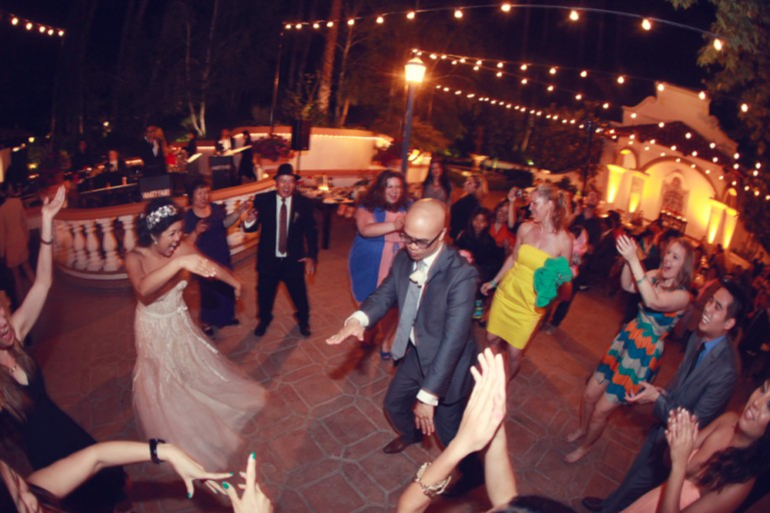 Side note – we at Marisa Nicole Events like to avoid the overly talkative DJ and go for the one who communicates with party goers in a clear, strong, concise yet friendly manner. We think it is important that your DJ be remembered for the good times he or she provided throughout the party and not for their charisma or wit. When looking at the packaging options, look for how many DJ’s come with each package and how much equipment is offered with the package. 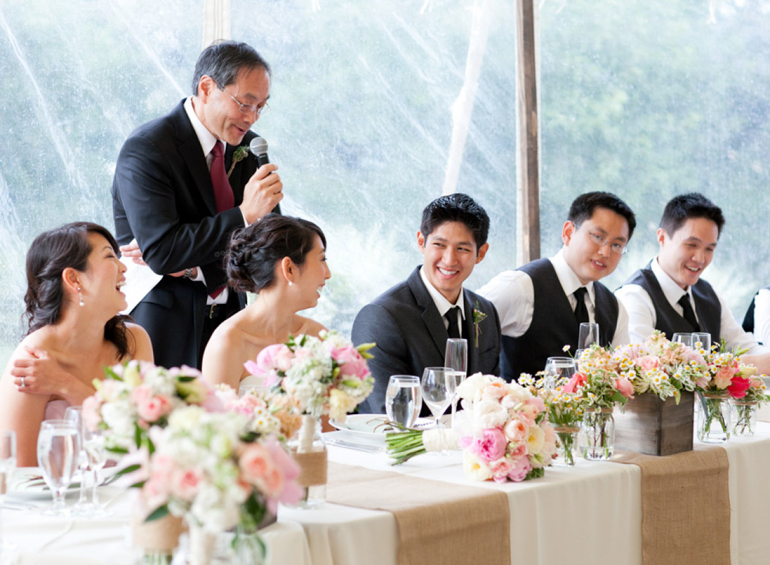 To help figure out what you will need, talk through the layout of your venue and what you will need from them. This way, you will know what package is suitable for you by determining if everything you need is included in that package. Keep in mind that every DJ’s hours of operations can be different. Some will charge by the hour, while others will charge for the day. So check and see how this will fit into your DJ package. 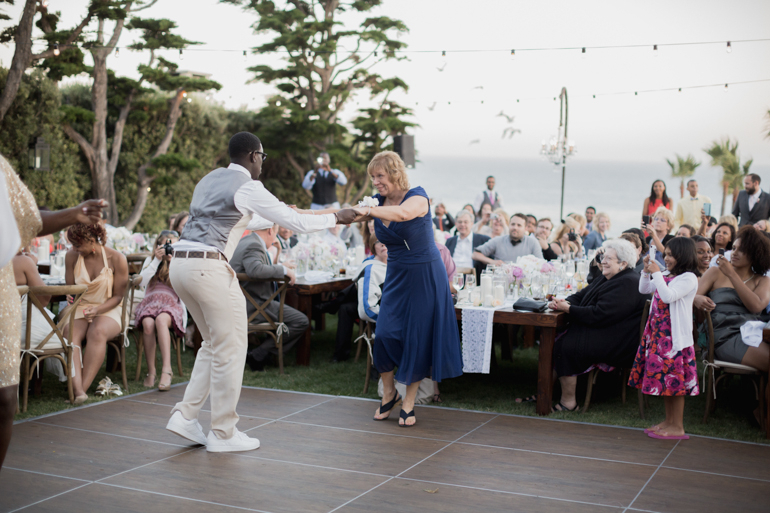 When picking your DJ, the most important thing is to make sure you feel confident that he or she will be able to keep the party going the way you want it to. With these tips in mind, you will find the right DJ to help set the tone of your party and keep the celebrations going all night long! Once you find the right company, book him or her right away or the DJ you have come to love could end up getting scooped up by someone else! There’s just a few more days before the 14th and I am sure some of you are still stuck on ideas of what to do to make this Valentine’s Day special! Roses, a five course dinner and chocolates may seem like the the standard way to go, but this year we encourage you to think outside the box by taking a different approach to this day of love! 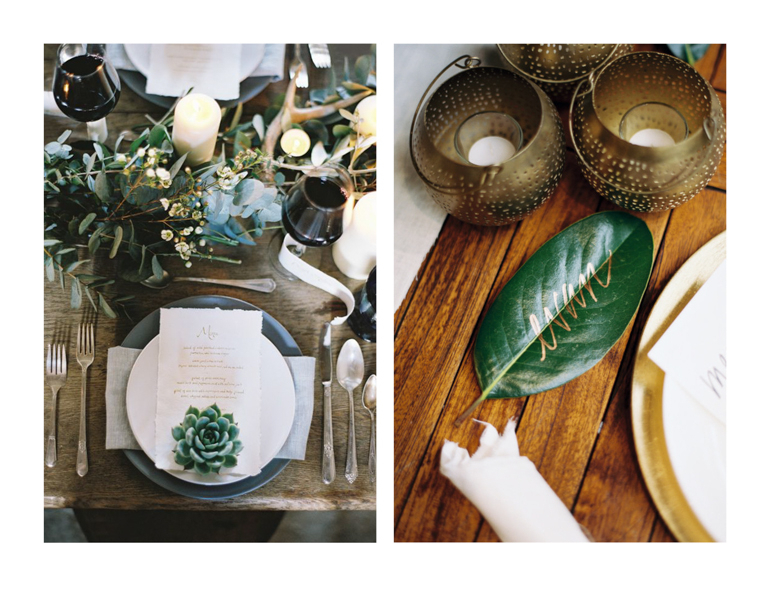 From design to florals to cuisine, we’re here to guide you in crafting a perfectly understated, super-fun celebration that will still feel romantic for you and your sweetheart! Before diving in, let me also take a moment to mention that we at Marisa Nicole Events are big advocates of the friends Valentine’s celebration (I mean what could be better than having a fab evening with not only the one you love most, but also with a rad crew of friends that you adore… you can always have a little private after-party of your own after the group activity). It is important to remember that presentation is everything! 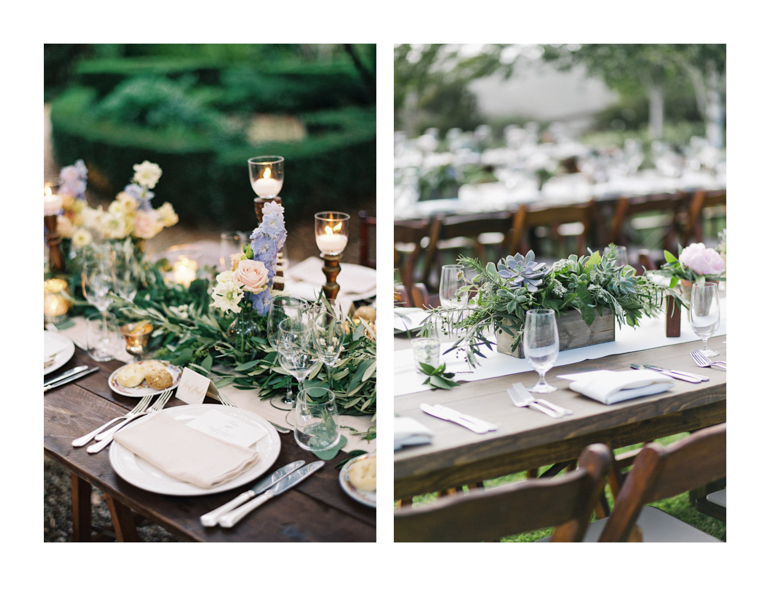 There is no need to overdo a tablescape with deep reds, purples and saturated pinks. Instead, try to keep your overall look organic, light and breezy. We suggest utilizing diluted hues (perhaps in blush, mauve or light blue) with tons of creamy neutral colors. Every gal and fella knows roses are the symbol of love, but this year we encourage you to pass those right on by and opt for a fresher look. To accompany a more airy tablescape, we recommend incorporating quite a bit of loose and delicate greenery into your arrangements. 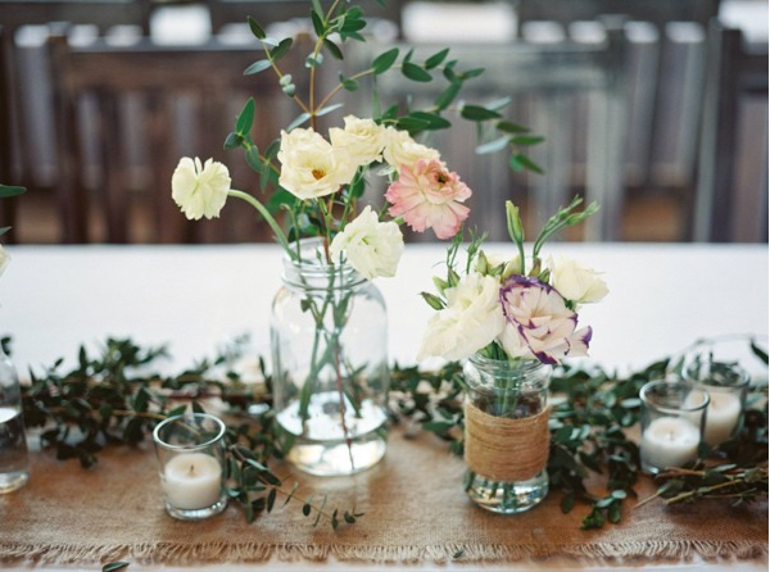 Keep it clean and minimal with touches of romantic, ruffled blooms to create the easy vibe we’re going for! I know what you are thinking – candles? Aren’t those the absolute cheesiest? The truth is that they can be, but setting candles with a purpose will help bring a relaxed and romantic ambiance to your celebration. 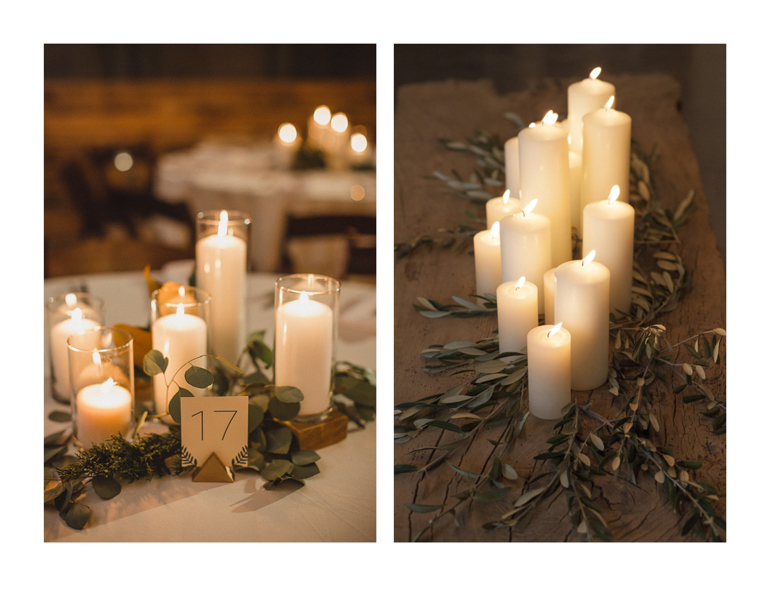 By having your glow strategically placed throughout your decor and at varying heights, the lighting will look layered, creating the perfect mood lighting (PS – it is a commonly known fact that people look their best by fire-light, so help out your guest(s) by allowing the candles to serve as your main source of light, if possible). Choose candles that are all one color (we suggest ivory or cream) and are unscented. Be sure to add extra greens to tuck throughout your candles (again to serve that overall, easy and laid back, romantic look). Do not put pressure on yourself to produce a five course meal! We encourage you to try servicing a classic dish (with maybe a fresh twist thrown in for good measure) to keep things easy for yourself, but tasty for your guest(s), go with something that is simple, clean and organic. If you want to try a new recipe, try homemade pesto to spread on some freshly baked bread. For dinner, a filet mignon with a side of veggies is the easiest way to a yummy meal (and also happens to be super easy to produce). Don’t get nervous, we’re not asking you to grab some scissors, cut out hearts and scatter them all over. Take a moment to think of something your significant other loves. Is it baseball? Or maybe they go nuts over mudpies. 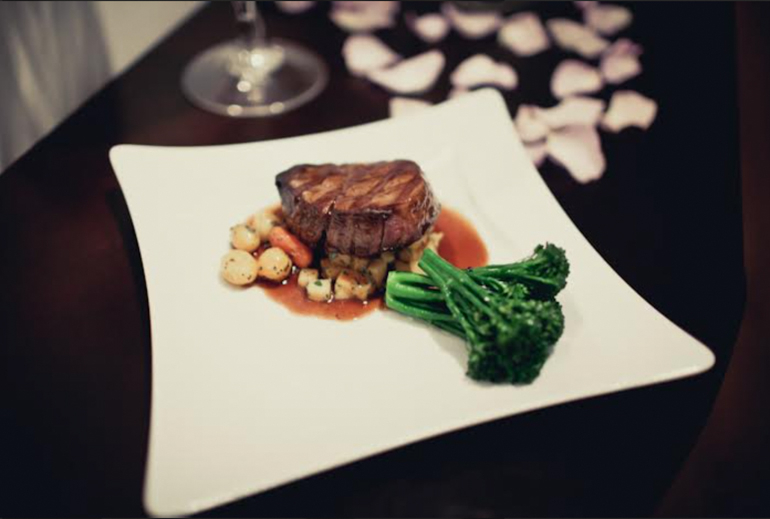 Personalize your dinner experience by featuring that thing and finding a way to bring it to life. Perhaps you could make mini mudpies for dessert. Or mimic the look of a professionally signed baseball by writing your guest’s name on a baseball and placing it at his or her plate. 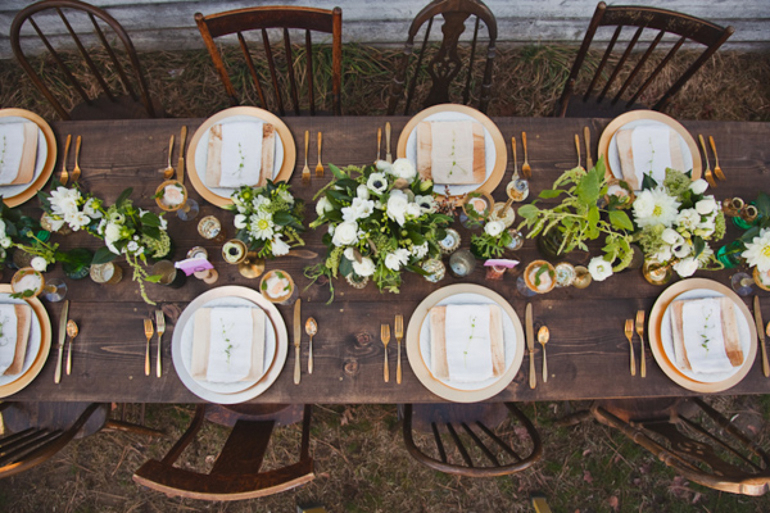 Alternatively, keep up the organic theme and place rocks with names on them at each place setting. Whatever your guest(s) love, show them with this little and unexpected something extra! 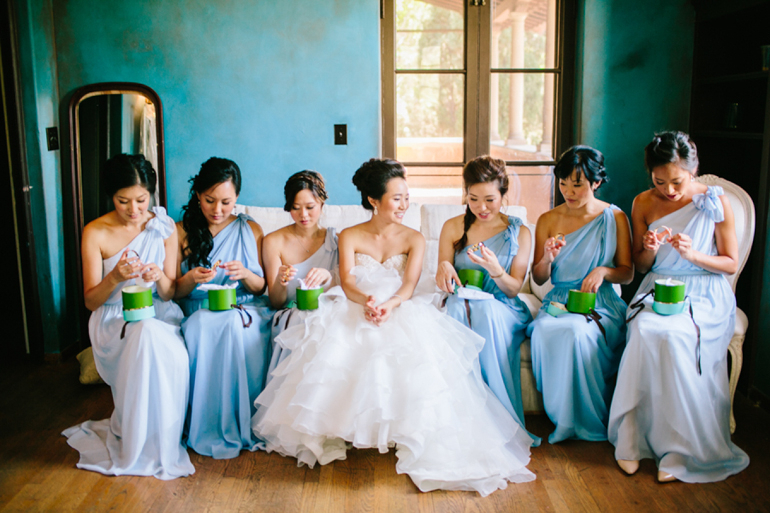 Bridesmaid Appreciation: Bridal Party Gift Ideas! Last week we talked about not forgetting to gift your bridal party with something they will be delighted with for all their hard work. To help point you in the right direction, today we’re sharing some tangible gift ideas that we hope will get your creative juices flowing! 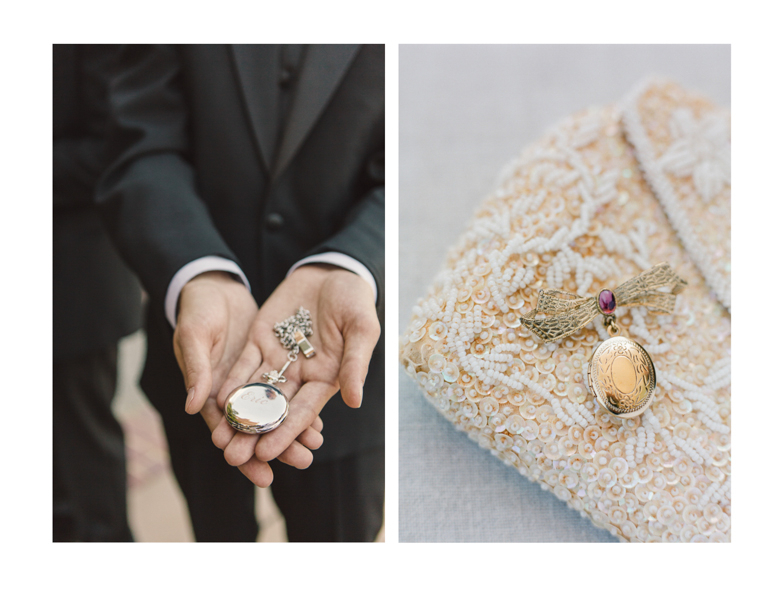 For your lovely crew – a beautiful, engraved pocket watch or locket. Add a personal touch by actually making the gift! You can find step by step picture instructions here and it is super easy for the lovely ladies that aren’t the best crafters. The great thing about perfume is that it comes in all sorts of different bottles and scents. 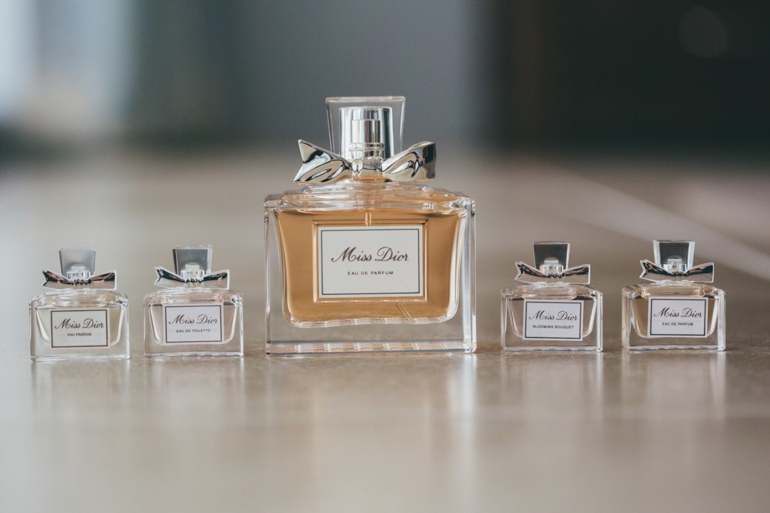 Why not pick a different scent for each of your gals that remind you of them? 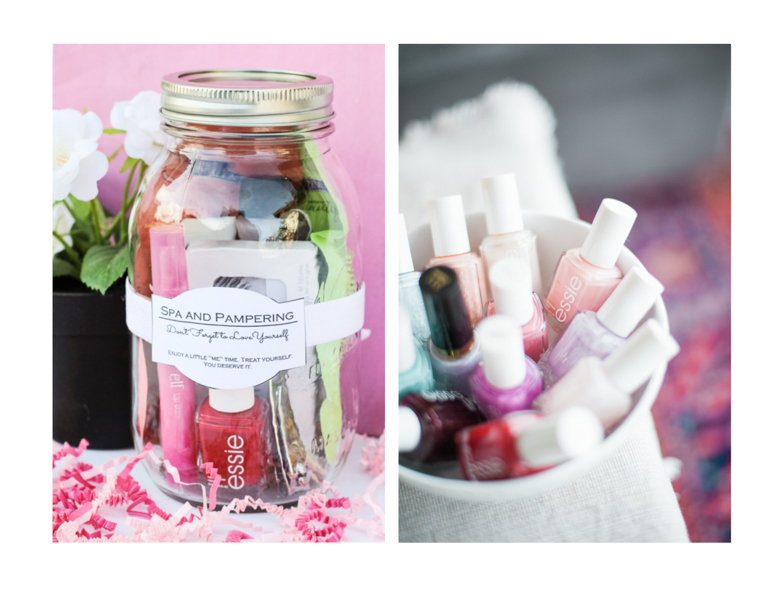 Such a treat to have a spa day all wrapped up in one jar. Classy Clutter offers ideas to place in the jars as well as a printable label. 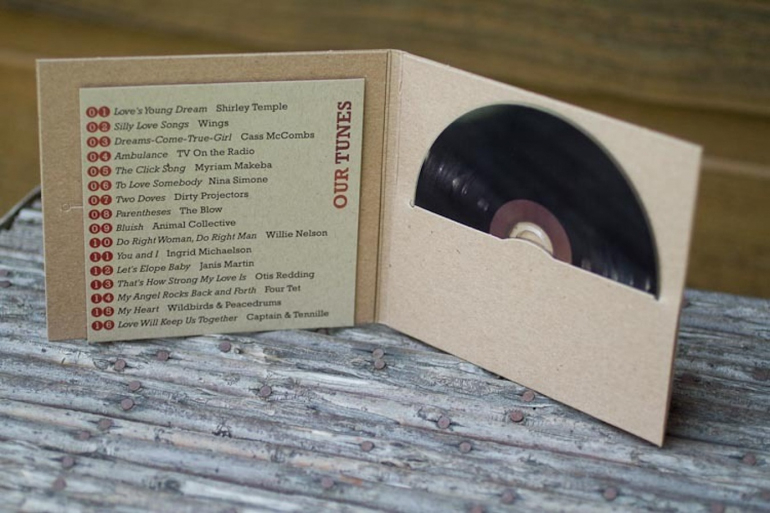 Personalizing a CD for each of your gals will definitely show them how much you value their friendship individually. These cute lace robes aren’t just for the big day! Your gals will love these simple silk robes for any occasion! 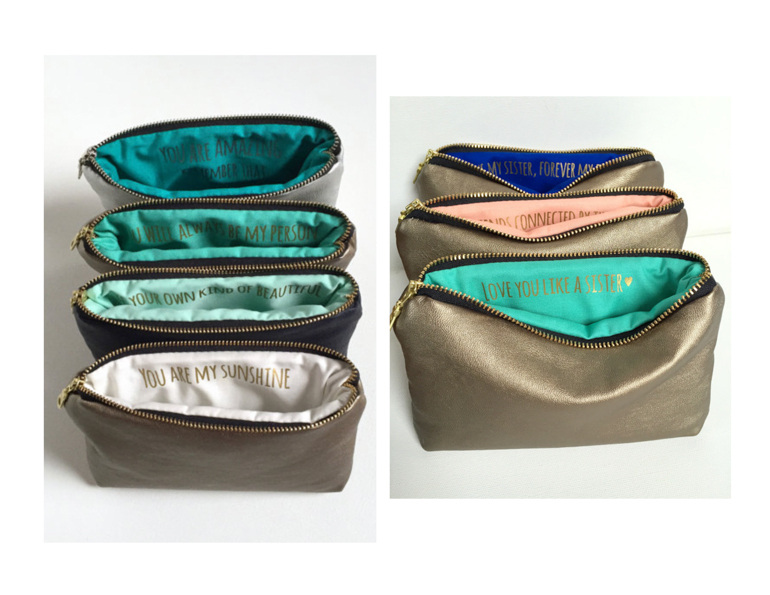 The beauty of this make up bag is that you get to create your own custom message for each one! 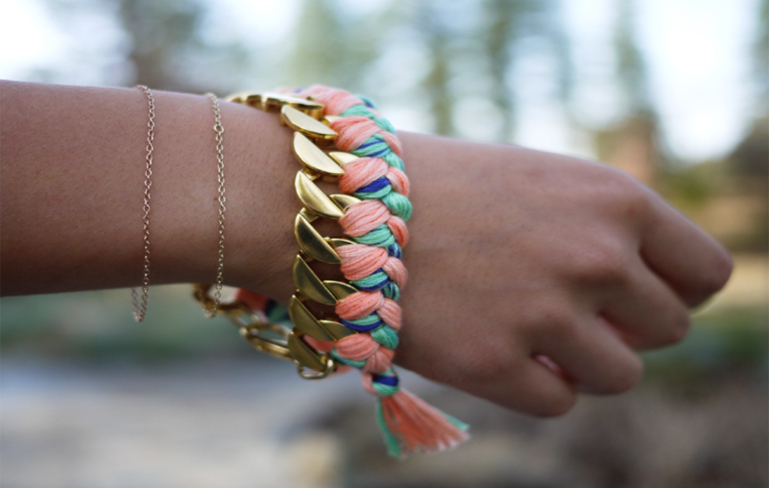 There’s multiple colors to choose from and definitely adds a little personal touch. Make sure to check them out here! 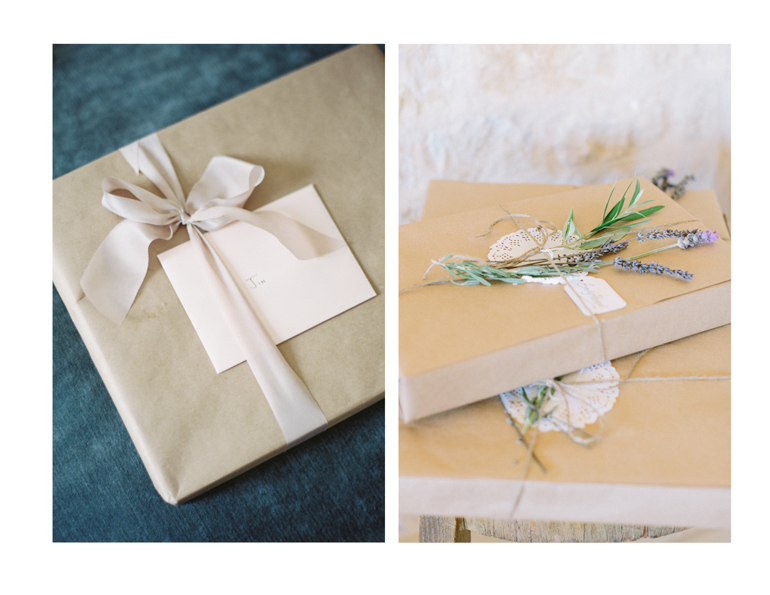 With these unique gift ideas, your bridesmaids will be sure to feel super loved and appreciated. Also, remember that there is no rule that says you have to give each bridal party member the same thing… feel free to mix and match gifts (as long as they are all similar in value). So, shop away or do it yourself, these ladies deserve lots of love for all their finances, time and energy they have poured into helping you prepare for your big day!